Mexico City Marijuana Legalization: What Could New Legislation Have In Store For Mexico’s Capital? 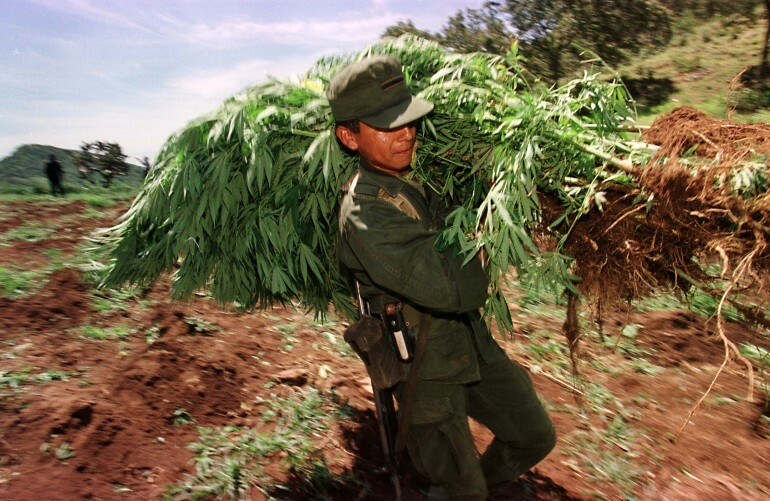 In 2009, Mexico’s federal government passed a law decriminalizing the possession of small quantities of drugs, including up to 5 grams of marijuana. Now, lawmakers in Mexico’s capital have their eye on a bigger prize: the total decriminalization of pot, to be replaced by a system of health-department-supervised dispensaries for therapeutic use. Animal Politico, which obtained a draft of the Law of Application of the Principle of Opportunity In Penal Matters for the Federal District -- legislation which is still being worked on by a team of leftist Democratic Revolution Party (PRD) lawmakers and a variety of advisors on the topic -- has laid out the basic features it will likely entail. The first thing the law will try to do is establish the Mexico City public ministry’s right -- based on Article 21 of the Mexican constitution -- to set its own priorities for the prosecution of crimes. Marijuana possession and distribution would become a “priority zero”, for which no authority will be able to detain or open an inquiry on someone responsible for those actions. That would exempt those who sell or possess marijuana from three articles in the Mexican federal General Health Law which impose mandatory sentences for drug offenders. That would open the door for Mexico City to create what the legislation refers to as “secure supply” dispensaries, which would be regulated by the Institute for the Attention and Prevention of Addictions (IAPA). The dispensaries would be authorized to sell exclusively marijuana, for therapeutic ends, to be consumed in a site other than the dispensaries themselves. The IAPA would also grant authorization to specific dispensaries, which would have to guarantee their “secure supply." Will Mexico City Legalize Pot?